Hi Audra, I’m happy to have you stop by and chat with us. 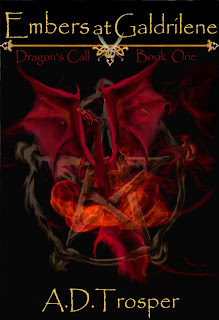 So, I hear you recently published your first book, Embers at Galdrilene (Dragon’s Call), a fantasy book about what else? Dragons! Thank you for having me. 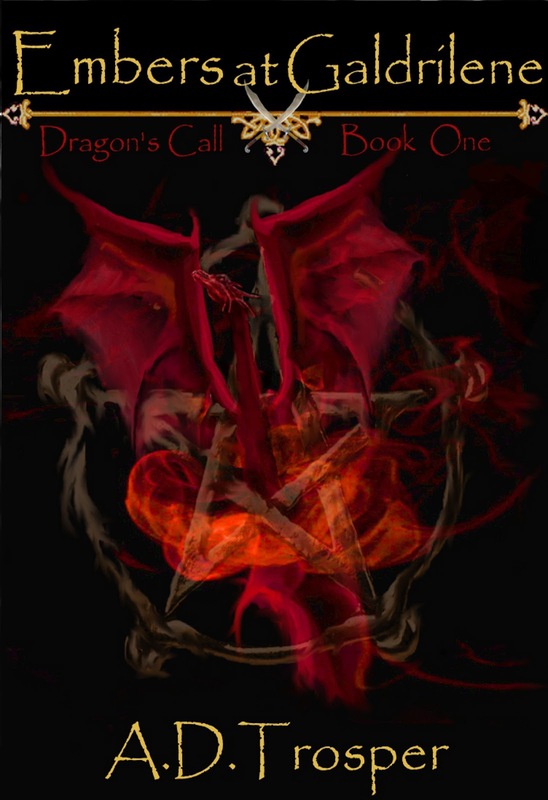 Yes, Embers at Galdrilene is my first book and yes, there are dragons in it. Tell me, have you always been fascinated by mythical creatures? 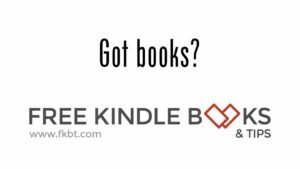 When did you decide to write a book? Maybe baby induced hallucinations helped you think of plot and character. How did you come up with your characters? Pretty incredible, I'd say. So no cardboard skeletons for you. How about world building your fantasy realm? How did you weave world-building into your narrative? If there is one character in your story you could be, who would it be and why? Embers is the first book of a series. Do you have the general sequence of the series planned out? Any secret tips for other writers starting out? Okay, how about a secret about you that no one, not even your husband knows? Ha, ha, and I wondered what it would be like to be blonde. Your Facebook name is Oat Bucket and you have a picture of a goat as your avatar. Care to elaborate? Wonderful. Had to get your goats in there somewhere. Thanks for being so much fun. I’m glad we had this chance to get to know you. Bio: Born in Kansas, I spent a lot of my childhood moving around. I've lived in Kansas, Oklahoma, Washington State (around Seattle), and southern California. I had many great adventures growing up. Though settled down in Kansas with my wonderful husband, three children, and small dairy goat herd, here lately have begun to get restless again. There must be some gypsy/nomad gene somewhere in my ancestry. As a Border Guard, it is Vaddoc’s duty to turn himself in and accept the death sentence with honor when he discovers he can use magic. But the ancient song of the dragons calls to him. Although pulled by duty and the honor of his family, the song proves irresistible. When he is offered sanctuary in Galdrilene, the old home of the dragons, he leaves duty and family behind to answer the call of the Song. He is not alone in hearing the Dragon Song and he is joined on his journey by five others as the elements of magic are drawn together. 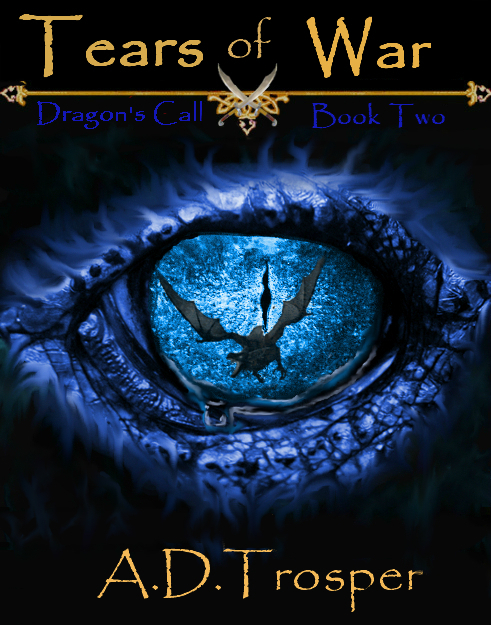 It’s a journey that reveals everything they’ve been taught to believe about magic and dragons is wrong. 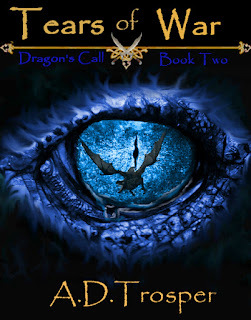 With the last of the dragons and the world at stake, Vaddoc and his companions will do anything, even cross through the realm of the dead, to reach a future they never thought possible. A more in depth look: Embers at Galdrilene is a classic struggle between good and evil. The dragon-bond blends two hearts, souls, and minds into one. The depth of loved shared in the bond is enormous, and the strengths given to the riders are many. But even in the strength of love, evil can exploit weaknesses. You will not find Evil Sealed in a Can within the pages of Embers. Rather you will find evil that was created by the very opposite of what the dragon-bond represents. Envy, hate, greed, and in one character, a touch of dark insanity. Embers at Galdrilene brings together characters from several different walks of life, in a world where a lake of the dead can lead to safety, where dragons can be the salvation or damnation of the world, and evil lies not in the gods, but within people willing to give up half their soul for the chance at power. You're welcome. I'm so happy for your success. Well, I am very please to discover the mystery behind the name. As a Capricorn, I love those goats! Nice to get to know you a little bit better, Audra! Another great interview. I'm also a Capricorn but never cuddled a goat, except my Capricorn hubby. It's interesting how the love of dragons find different outlets in our writing. I've got this one on my to read list! Aside from getting the inside story on the books, I love these author interviews, because I'm learning so much about the authors. Audra, I just found out your name when you commented on another interview. Like PC Zick, I was dying to know what your real name was. For some strange reason, I thought you lived in Australia. Now I discover you're in Kansas raising goats. Really enjoyed this interview. LOL, Jane. Yes, I'm in Kansas though I consider myself a misplaced Seattleite. Washington State is home and I miss it terribly. Michal's Window is Indie Book of the Day!! !